‘Kitchen Table Photography’, taken in the same room as many ‘Kitchen Sink Dramas’ ! Just watering Basil conjures up that wonderful evocative smell. To me a smell full of sunshine and mouth watering Italian food ! The smell of sage just brings back so many memories. Sage and onion stuffing for example, which my Mum always forgot about and left a tray in the oven ! A Sun drenched Greek hillside, Cicadas singing the smell of Thyme in the still air..... well, I can dream can’t I ! Can you think of a more versatile vegetable ? One that can add so much to so many dishes ? 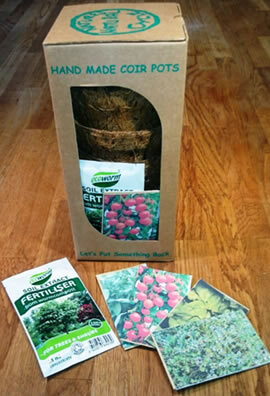 Have you taken a look at our Organic Potting Kit? 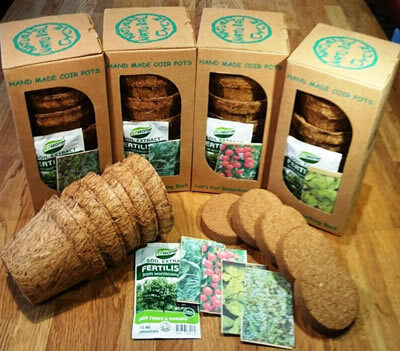 Well we have gone a little further here and packed a little more into our hand crafted kits, organic seeds. And of course a packet of Soil Association approved organic seeds. You could have an Organic potting kit with Sweet Genovese Basil seeds. 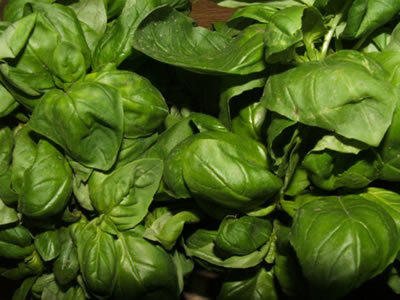 Did you know Basil is associated with love in Italy ? If a lady puts out a pot it means she is ready for her suitor – so be careful of putting it on your windowsill ! 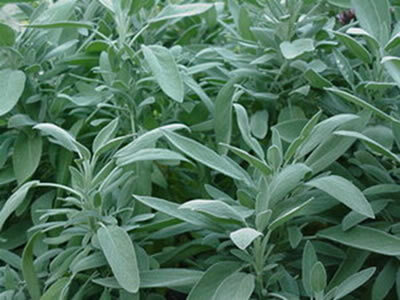 Or perhaps a kit to grow Sage. This grows into a little shrub and contains loads of good stuff as well as being a kitchen ‘essential’. Folic acid, thiamin, pyridoxine, riboflavin, vitamin A, vitamin C beta-carotene - it’s all in there, plus loads more. Perhaps Thyme is more your thing. 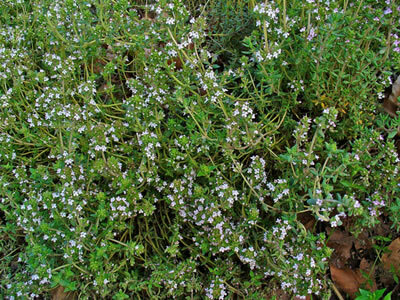 This ‘Winter Thyme’ should give you a green oasis all through the year. Just pinch the leaves in January, and smell that Greek hillside ! Or perhaps you would like something more substantial to go with your herbs. Basil, Thyme a hint of Sage and wonderful fresh Tomatoes. Add olive oil, crusty bread and what more do you need for lunch. 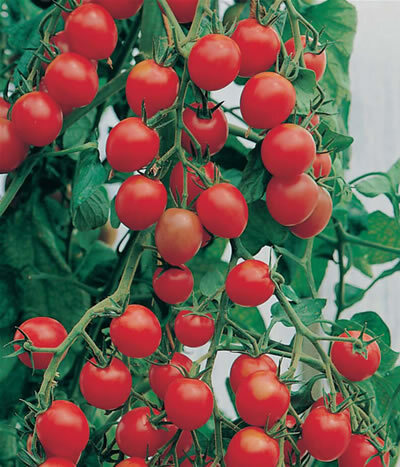 This organic tomato is ‘Gardener’s Delight, it has such a lovely flavour and looks lovely cascading down in trusses. 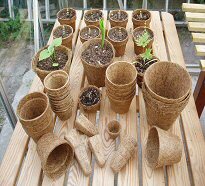 When you plant it out try and add a bit of seaweed, tomatoes love it, and some companion planting of your Basil, and Tagetes patulas (French Marigold) could keep those White fly and Aphids away. Just let me know which seeds you would like in your kits. Sorry though, but do ask for £5.95 contribution towards postage, but that is for however many kits you have.